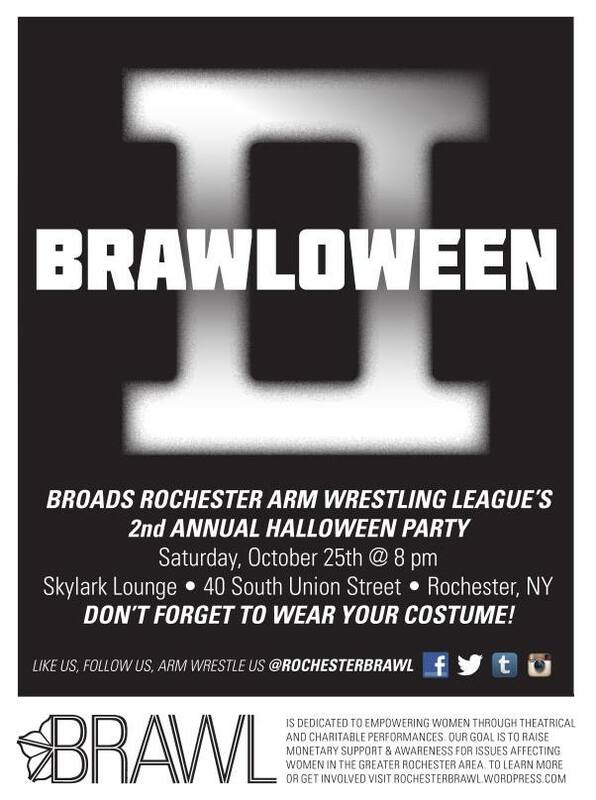 BRAWL Rochester is excited to announce our Spring Event, on April 11th, to benefit Restore Sexual Assault Services! We need your help! Are you interested in joining an amazing group of women who work to benefit other women through the theatrical arm-wrestling? You can fill out an application here or stop by to one of our Happy Hours — every 1st and 3rd Thursday @ Skylark Lounge. HAPPY AND MERRY SEASON FROM YOUR ORGANIZING TEAM! Festivus, Christmas, Hanukkah, Kwanzaa, The Holigays and simply Winter. Stay Warm and Stay Awesome in 2015! Don’t forget to wear your costume! Introducing Gnarly Quinn! Unlike her sister Harley, this girl is no joker, but she's just as fierce and unpredictable. She's known for battering down her opponents, so if you dare challenge her, prepare for a gnarley defeat! Come see Gnarly Quinn's debut NEXT SATURDAY, March 25th at ButaPub at 8:00pm! Bring cash to "bet" on her in the form of a donation to Planned Parenthood! 3.25.17 Save the Date! We are so excited and want to give you all hugs, fist bumps, high fives (or whatever you prefer) for supporting the community and Planned Parenthood! Wrists up! Save the date! We are holding an event to benefit Planned Parenthood on March 25th! Please show your face and spread the word! More details to follow! Sneak peak of the #BRAWLOWEEN III trophies! Who will take these babies home? Come to Flour City Station this Saturday to find out! Come out on Saturday to Lovin' Cup for a benefit for the family of Gabe Stolt. There's an amazing band line up and, of course, the ladies of BRAWL!